Rev the engine on the ultimate international motocross experience. Brave the elements - from fine drizzle to intense downpours - in tracks all around the world. MXGP returns complete with officially-licenced tracks, rosters and bikes from the 2016 FIM Motocross World Championship. Saddle up for an intense two-wheeled driving experience featuring dynamic weather systems, fully deformable track terrain and a whole new range of bikes, including a selectoin of highly-requested two-Stroke racers. Go up against top riders from around the world in 18 international locations, faithfully recreated for single and online play. Contest with a range of conditions from clouds and patchy showers to a full-blown downpour as you jostle for position. 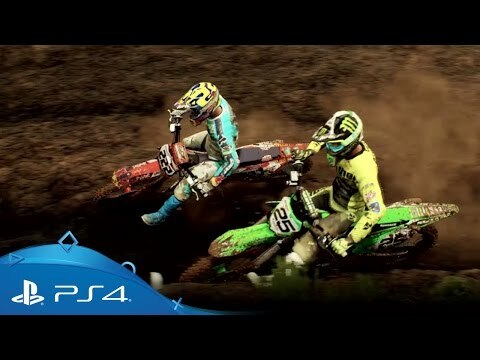 Get your first glimpse at the third installment in the Official Motocross video game. 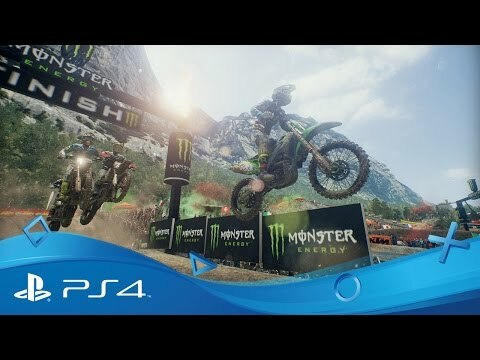 Gun the throttle and go head to head with MXGP riders from all around the globe in a range on online modes - all you need is PlayStation Plus. Celebrate almost a century of motoring excellence with Ducati – 90th Anniversary Edition on PS4. MotoGP™ 15 for PS4. Available to buy now from the official source of all things PlayStation.